The magic of Christmas is a big deal in our family. We spend a lot of time with all of the little ones telling them about Christmas miracles and this book The Year Santa Lost His List is a good example of the things I want my grandkids to read. 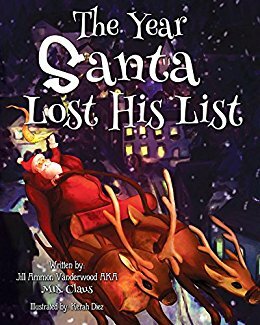 In the story Santa loses his list just before entering the US and has to guess at which gifts to deliver where. Needless to say Christmas morning was a big surprise. No one got the gifts they were expecting but new talents were discovered when the children received different gifts than they anticipated. I really like that there are lessons to be learned from this book, such as things aren't always what they seem. What may seem to be a disappointment may really be a blessing in disguise. That's a value that I want instilled in my kids and grandkids. I will definitely be reading this book to my grandkids this holiday season.